Atheneum Books for Young Readers, 9781416924371, 32pp. 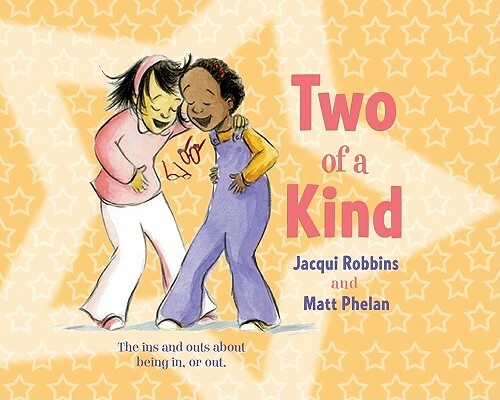 Meet Kayla and Melanie—two of a kind and official first-grade mean girls. This is a new kind of playground bullying. These girls tease, whisper, and get their way all of the time, even when that means turning one friend against another. Anna is too smart to fall for their charms. . . . Well, almost. The allure of the in crowd is strong. But after an early falter, Anna discovers she’s stronger when she stands up for herself and for her friend Julisa. This book is modern, multicultural, and has a message worth sharing— the perfect book to read to a classroom, to a daughter . . . or to a bully! Jacqui Robbins for years an elementary school teacher, lives with her husband and young daughter in Ann Arbor, Michigan.